In the wake of the mining downturn, the industry has recovered to re-affirm its place as a major driver of the Australian economy. The coming years will reinforce this position as dozens of projects or expansions develop into Australia’s next generation of mines. In an Australian Government December 2018 quarter report, more than 25 mining projects had reached the committed status, with dozens more in the feasibility stage. Australia’s leading commodity exports – iron ore, coal and gold – continue to provide the next phase of development. However, battery minerals, such as lithium, have started to show their value in the future of the industry. Geographically, Western Australia leads the way with the most projects at the committed and feasibility stage. Queensland is also set for expansion with upcoming developments in a diverse range of commodities, including coal, gold and copper. Here, Australian Mining summarises the major projects that are set to make an impact on the mining landscape in the coming years, with primary focus on those that the Australian Government rates with the committed status (as of the fourth quarter 2018). The Gruyere joint venture is set to pour first gold at the Gruyere project in Western Australia during the June 2019 quarter. Gold Road reported that first ore had been mined at the $621 million project in January 2019. The Gruyere site, Western Australia’s newest greenfields gold discovery to be developed, is currently expected to produce 300,000 ounces a year over a 12-year mine life. 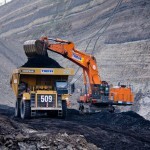 Downer EDI has been appointed as Gruyere’s mining contractor. St Barbara approved the project to extend the historic Gwalia gold mine to at least 2000 metres below surface in March 2017. The $100 million project, which remained on track after the December 2018 quarter, is expected to take up to three years to complete. It consists of two main components, a ventilation upgrade and paste aggregate fill. St Barbara has forecast Gwalia to produce 290,000 ounces of gold a year by the 2022 financial year. Blackham hopes to expand its Matilda-Wiluna gold operation into a mine that produces 200,000 ounces a year with this project. The company is, however, already producing at the site at a rate of almost 20,000 ounces each quarter. In August 2017, Blackham released an expansion preliminary feasibility study that confirmed a capital efficient growth project that would cost $114 million. Blackham restarted open pit mining for the first time in 10 years at Wiluna in October 2017. KCGM, the joint venture between Newmont Mining and Barrick Gold, is expanding the Super Pit gold mine in Kalgoorlie-Boulder for the first time in a decade. The JV started mining the Morrison layback in November 2018 with the first production blast in the area. The layback, the first at the mine since Golden Pike in 2009, is at the southern end of the Fimiston open pit. It has been called the Morrison starter pit. Fortescue approved the development of the Eliwana mine and rail project in the Pilbara during May 2018. The $1.7 billion project involves 143 kilometres of rail, a new 30 million tonnes per annum dry ore processing facility and infrastructure. 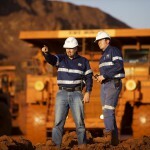 Fortescue expects production to begin at Eliwana in December 2020. The project underpins the company’s introduction of a 60 per cent iron ore product in late 2018. Eliwana is located west of Fortescue’s Solomon Hub operations. Mount Gibson Iron was on track to complete the Koolan Island restart project off the Kimberley coast in the March 2019 quarter. Operations at Koolan Island were suspended in November 2014 following a seawall failure that resulted in the flooding of the Main Pit. Mount Gibson approved the restart project in April 2017 after two years of evaluation work. 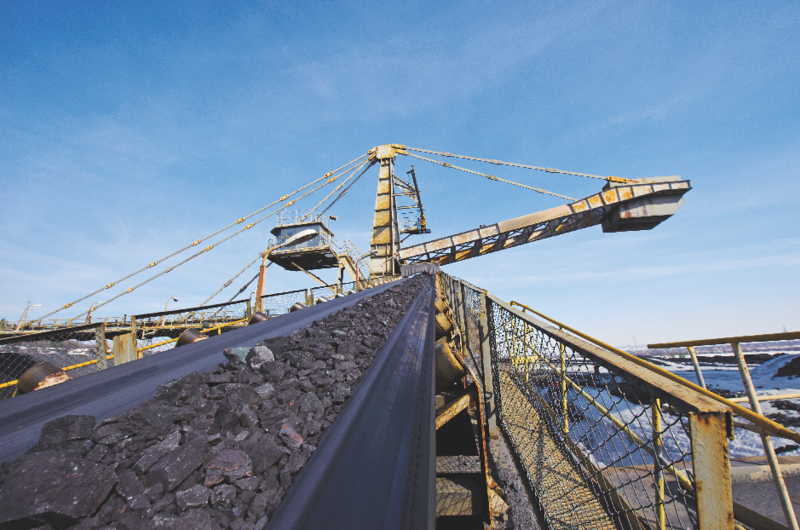 The high-grade Main Pit has ore reserves of 21 million tonnes at 65.5 per cent iron. Rio Tinto and its joint venture partners approved a $1.55 billion investment to sustain production capacity at two projects that form part of Robe River in October 2018. The investment includes developing Mesa B, C and H deposits at Robe Valley, and the Deposits C and D at West Angeles. Rio Tinto will sustain production of the Pilbara Blend and Robe Valley lump and fine iron ore products through the project. First ore is expected in 2021. BHP approved the $US3.4 billion investment in the South Flank project in the Pilbara in June 2018. The project is being developed to replace production from the 80 million tonnes a year Yandi mine as it heads towards the end of its economic life. BHP will expand the existing infrastructure at Mining Area C, including construction of an 80 million tonne per annum crushing and screening plant, an overland conveyor system, stockyard and train loading facilities, and more. First ore is expected in 2021. Iluka approved development of the Cataby minerals sands project 150 kilometres north of Perth in December 2017 after securing off-take agreements for 85 per cent of production from the site. Cataby is a large chloride ilmentite deposit, which will also underpin the continued production of 200,000 tonnes per year of synthetic rutile from the company’s Synthetic Rutile kiln 2 site at Capel in the state’s South West region. The project is costing Iluka up to $275 million to develop. Image Resources launched production of heavy mineral concentrate at the Boonanarring site in the North Perth Basin in November 2018. The company, which started construction on the $235 million project in March 2018, reported the first bulk shipment of concentrate from the Bunbury Port in January. Image will ramp up production to a steady state of around 500 tonnes per hour at the site over the first half of 2019. Talison, a JV between Tianqi Lithium and Albemarle Corp, has committed to multiple expansions at Greenbushes in recent years. The latest expansion, announced in the first half of 2018, will double the production capacity at Greenbushes to 2.3 million tonnes of lithium concentrate a year from 2021. It will add output to feed hydroxide plants being built in the state by the JV partners. Greenbushes is already the world’s largest lithium mine. Tianqi is spending more than $700 million at Kwinana near Perth on a two-stage lithium hydroxide plant. The first stage of the project had entered a commission phase by the start of 2019. The second stage is progressing throughout 2019 before an expected finish before the end of the year. The Kwinana plant is expected to become a world leading producer of battery-grade lithium hydroxide at 48,000 tonnes a year. Kidman, with joint venture partner Sociedad Quimica y Minera de Chile S.A. (SQM), is developing the $849 million lithium project in the Goldfields region of WA. In a pre-feasibility study released December 2018, Kidman forecast Mt Holland to be a long-life, low-cost operation with projected annual production of 45,254 tonnes of LiOH and a 47-year mine life. Kidman also has plans to develop a refinery at Kwinana near Perth to produce battery-grade refined lithium. MinRes plans to fund, design, build and operate a lithium hydroxide plant at Wodgina in the Pilbara with Albemarle after the companies formed a joint venture in November 2018. The JV partners have proposed to develop the plant over two stages, with the first stage expected to produce at least 50,000 tonnes per annum of lithium hydroxide. The second stage is expected to increase production from the plant to 100,000 tonnes per annum of lithium hydroxide. 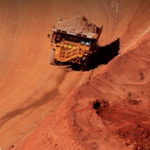 Rio Tinto achieved first shipment of bauxite from Amrun in Far North Queensland six weeks ahead of schedule in December 2018. The $2.6 billion project is replacing production from Rio Tinto’s soon-to-be-depleted East Weipa mine, expanding the company’s presence on the Western Cape. Rio Tinto will ramp up operations to a full production rate of 22.8 million tonnes a year during 2019. The Amrun project was originally approved by Rio Tinto in November 2015. QCoal is developing the Byerwen open cut project in the Bowen Basin to eventually produce 10 million tonnes of metallurgical coal a year. The company started construction and mining operations at the site in 2017 after securing the mining leases it needed in May of that year. QCoal has appointed Macmahon Holdings as the Byerwen mining contractor, while Sedgman is developing the minerals processing operations. Copper Mountain Mining Corp (CMMC) added the Cloncurry project to its portfolio after acquiring Altona Mining for $93 million in 2018. The Canadian company has since also added a listing on the ASX as it edges towards developing the site. CMMC released a feasibility study for the Cloncurry project in October 2018 that estimated a $350 million capital cost to develop the site. It has not, however, made a decision to start construction. Citigold plans to expand its Charter Towers project into an operation that produces 218,000 ounces a year. The underground operations at the Central and Imperial mining areas remained on care and maintenance during the December 2018 quarter, with no gold production. The Central mine will be opened first by Citigold, which continues to refine its designs and strategies for the site. 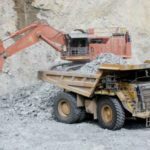 Evolution Mining approved a $60 million investment for three projects at the Mt Carlton mine in October 2018. The projects include an underground development, a stage four pit cut back and plant modifications. 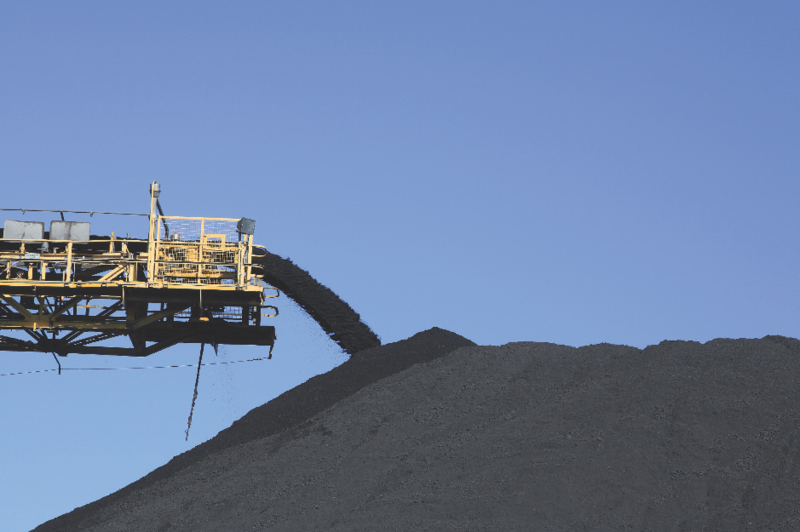 Evolution will bring forward production from Mt Carlton’s high-grade zone with the projects. It expects to deliver first ore from the underground operation during the 2021 financial year. BHP has committed to a series of expansion projects at Olympic Dam in recent years, including a $350 million investment to upgrade the surface operations. The project, the largest planned shutdown undertaken at the asset, ran for over 100 days from August 2017. BHP also used the opportunity to carry out major upgrade works on Olympic Dam’s refinery, concentrator, other key infrastructure and site technology. OZ Minerals’ next major copper project, Carrapateena, is expected to reach production in the December quarter of 2019. The Adelaide-based company approved development of the $916 million project in August 2017 and has created over 1000 jobs at the site. It expects the operation to annually produce 65,000 tonnes of copper and 67,000 ounces of gold over a 20-year mine life once it is developed. Downer EDI is the underground contractor at Carrapateena. Formerly Valence Industries, Quantum Graphite is resurrecting the Uley mine, where operations have been suspended since December 2015. The project, 23 kilometres south-west of Port Lincoln, involves the recommissioning of existing graphite mining and processing operations. The company will use existing plant, utilities, community engagement and associated infrastructure. South Australian approvals for the restart were granted in mid 2017. Diversified Minerals expected to start construction of the Dargues gold project during February 2019. The company was set to reach this milestone after awarding the engineering, procurement and construction (EPC) contract for Dargues to DRA Global. Dargues has been designed to produce an average of 50,000 ounces of gold a year in the first six years of production. DRA is developing a 355,000 tonne per annum gold processing facility and backfill plant. First ore is expected in early 2020.